A lifelong resident, born in the City of New Brunswick, Joseph V. Egan attended St. Peter’s Grammar School and graduated from St. Peter’s High School in 1955. In 1957, Mr. Egan started his apprenticeship years with Local Union 456 of the International Brotherhood of Electrical Workers (IBEW). For the last forty-four years he has served as an officer in Local 456 in various positions: elected to the executive board in 1962, elected President in 1974, co-chaired the Health and Welfare, Pension and Annuity Funds for the local, and elected Business Manager in 1986, a position he still holds today. He has served as Vice President of both the New Jersey State Building Trades and the New Jersey Electrical Workers Association. He is also the Chairman of the New Jersey Electrical Workers Temporary Disability Fund. 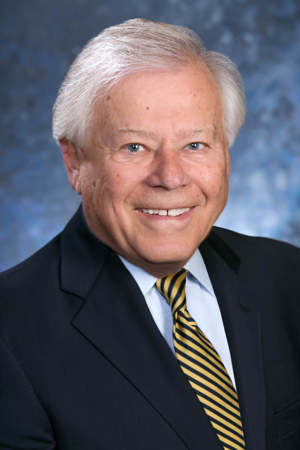 In addition, he is a member of the National Electrical Code Committee of the National Fire Protection Association, and a former member of the council on Industrial Relations for the Electrical Contracting Industry, Washington, D.C. In 1979, he served as a member of the New Brunswick Ethics Board. He has more than 20 years experience as New Brunswick City councilman and served nine years as council president. On November 6, 2001, he was elected to the New Jersey General Assembly to represent the 17th Legislative District. The 17th District includes Highland Park, Milltown, New Brunswick, North Brunswick, and Piscataway in Middlesex County and Franklin Township in Somerset County. He currently serves as Chairman of the Assembly Labor Committee. He is a charter member of Keep Middlesex County Moving (KMM), the transportation management association of Middlesex County. KMM aims to improve methods of mobility for county residents, to reduce traffic congestion and to foster better air quality. Mr. Egan is an active member of his church and community. As a member of St. Peter’s Parish in New Brunswick, he served as vice-president of the parish council. His dedication to the church earned him the Monsignor James Harding Medal, an award honoring community service. During the 1989 renovation of Sacred Heart Church and the building of Elijah’s Promise Soup Kitchen in New Brunswick, Egan organized volunteer labor from Local 456 to perform the electrical work for both projects. He is married to Yolanda, his wife of 45 years. The Egans have four children: daughter Patricia and sons Joseph Jr., Timothy and Kevin. He has seven grandchildren.